Good Girl Gone Redneck: This is 43. What did you imagine for yourself at 43-years-old? What DO you imagine for yourself? I don't think I ever thought this far ahead. I never thought about life in my 40s. I never thought I'd feel young or old. I never stopped and gave thought to what my life would be like. I was young. Restless. Foolish. Smart. Heartbroken. In love. Angry. Emotional. I was all of these things. Regardless of the age I was. Regardless of where I was in my life. I was each one of these things. I still am. Now and then. I was 8. My daughter's age. Do I even remember it? What did I think about then besides hanging out with my best friend and singing music at the top of our lungs. Did I do that then? Why isn't my child doing that now? Should she be? Has she made some of the friends she'll hold onto until she reaches her 40s? Forever friends? Looking back, it's hard to tell. I was 13. Connecting with friends. Making new ones. At a new stage in life. Boys. Boys as friends. Silly crushes. Hidden dreams. Spiral notebooks as journals. I sat and I wrote. I was 16. Crushes grew stronger. Feelings got hurt. Friends moved forward. New groups. New school. My Sweet 16 was the happiest day of my life. How little did I know then? I was 18. Off to college. With my best friend. 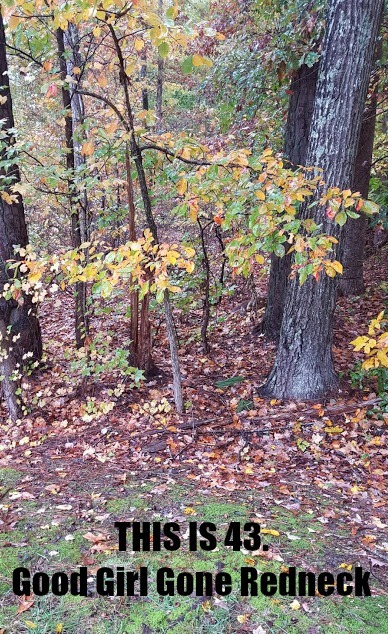 Was I truly branching out? Family drove to see me. Brought friends. Friends who came to visit. Surprise parties. College years. Emotions grew and I was weary. Why? Only 18. 19. 20? My 21st birthday came and went. I had already had my first drink. My second. My third. Friends. Surprises. Connections. People I'd hold onto for years to come. I was 24. I spent the weeks before my birthday overseas with my boyfriend. Our time together eclipsed by the atmosphere. The surroundings. Was it love? Or was it London? Spain? Both? All of it? How little I knew. And yet ... how much I felt. I was 29. About to be married. To a new love. A new friend. The man who held my heart. Closer to a new decade of life. Thirty. Tremendous. Huge. He surprised me with a dinner party. My family and closest friends were there. Thirty. We barely looked at the number. I was 34. And I was a new mother. My daughter born in February - my birthday coming months later. Motherhood took hold and changed my world. The number didn't matter. Her world was just beginning. As was mine. Ours. I was 41. Turning 41 without my father. How was that even possible? He - only 66 - gone. Spending time with my mother as we looked back on her memories of the day I was born. Forty-one. Years. Decades. How does one even consider what the next years will bring when one day can change everything in mere moments? I'm strong. I'm healthy. I'm working on myself. I'm finally putting myself out there in ways I never would have before. I'm writing more. And sharing those words. I'm in print. Not my own whole giant book, but I'm there. I plan to enjoy it all. All of it. Even if - as I do - the tears fall as I remember years past. And I think of what's to come. Yay for 43!!! Here's to 43 more beautiful years!! Ah, 43, such a beautiful look back at your life till now...as I am on the cusp of 50 (eek!) I keep reflecting on what it is I "should" be doing. One thing that I have committed to is journaling more. You know, self discovery and thoughts, that stuff...Really, like I have off and on throughout my life, but this time, shooting for consistency. 50 seems young now, it didn't used to. Maybe I will commit to reading 50 books (sound familiar ; ) or do 50 random acts of kindness, or...sigh....journaling, I shall stick with that. Happy birthday to a woman who is beautiful both inside and out. You are so amazing! You had me at "This"...Luv you! Happy Birthday to you, beautiful lady! Oh sweet friend, may your day be blessed and rich ... and all that you wish for. May sweet memories wash over you and fill your heart. You are so special, such a light and a blessing to all who know you and have shared in your kindness and your gracious spirit. And can I just add here, your health journey is quite inspirational, and you positively glow! You're going to ROCK 43!! I didn't even think this far, either. It's strange, looking back. So much you've gone through. 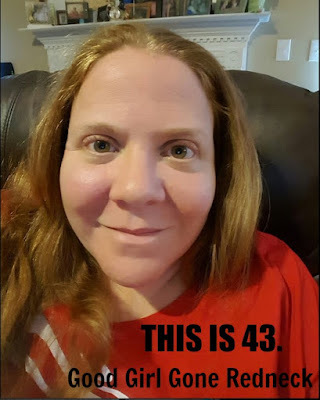 43 looks great on you! I am so glad I stopped by today to read your post because I learned a lot about you. You are an amazing woman and I love all that you are doing ---making a move is a big thing and you have done it quite successfully. Thank you for sharing your birthday with us! Awww. I turned 43 last week so I'm right there with you. What always knocks me down when I really stop and think about my age is that when I was a teen and in my 20s, I thought somebody in her 40s was OLD. But now that I'm there, I still feel like a kid! I don't get it. It's all relative, and what you make of it. Happy birthday! Happy Belated Birthday! The 40s are a pretty great decade. Wishing you all the best. Well you don't look a day past 30 if that makes you feel better! I've got some years on you and I have zero idea where the time has gone. It's crazy how fast life creeps up on you! Happy birthday! 43 looks good on you. Here's to many more amazing years to come. Jus tried to subscribe but it won't accept my email address because it starts with info@ - is there any other way of following - are you on Bloglovin?